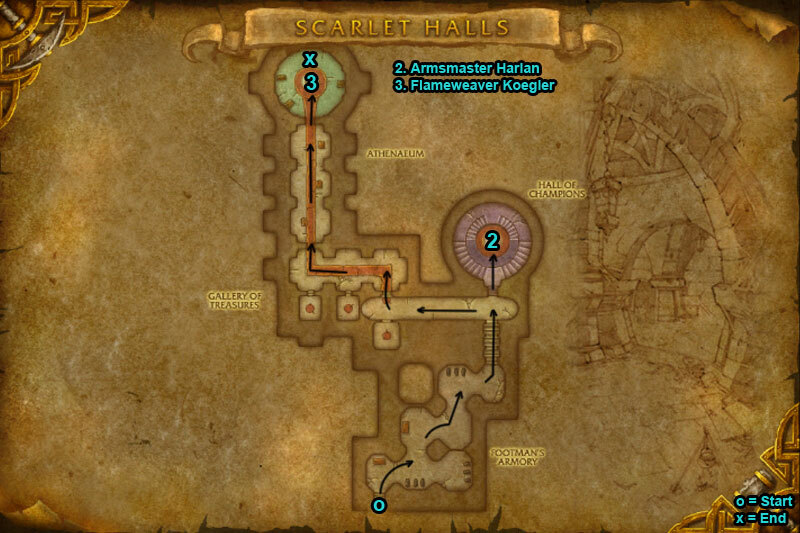 You can find the Scarlet Halls dungeon within Tirisfal Glades, Eastern Kingdoms. When you reach the Training Grounds grab a shield ‘Reinforced Archery Target’ for cover or stand behind someones to avoid push backs. Move forward to absorb the arrows. /i Throws knifes causing physical damage. Hounds will assist him during fight. 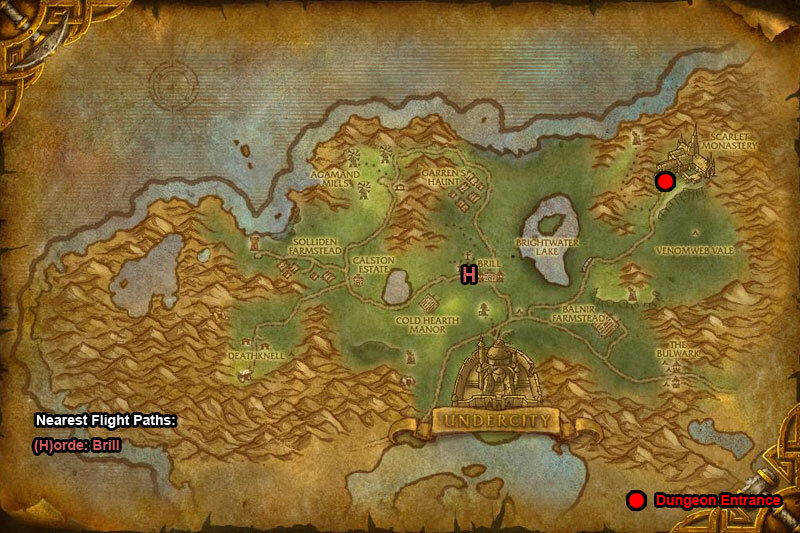 At 50% Bloody Rage causes increased damage to players. /i Watch out when spins around room, run away from him. 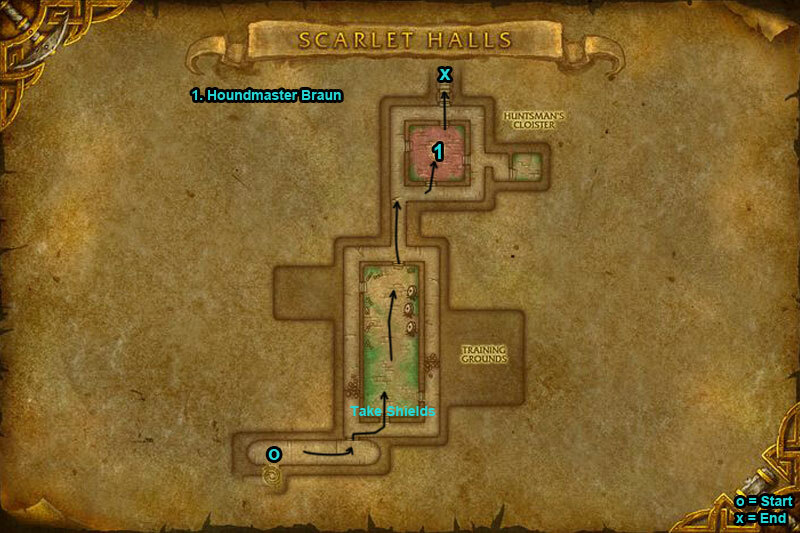 Calls Scarlet Defender mobs to aid him in battle. Goes into Berserker Rage at 50% heath, nuke fast. /i Avoid the fiery dragon breath, move around room. Fireball Volley & Pyroblast are interruptible.